Pottermore, the digital publishing company of author J.K. Rowling, has teamed up with UK designer Olly Moss to create a new series of Harry Potter posters. The resulting set of seven officially-licensed giclee art prints are sure to make fans of the fictional wizard swoon. 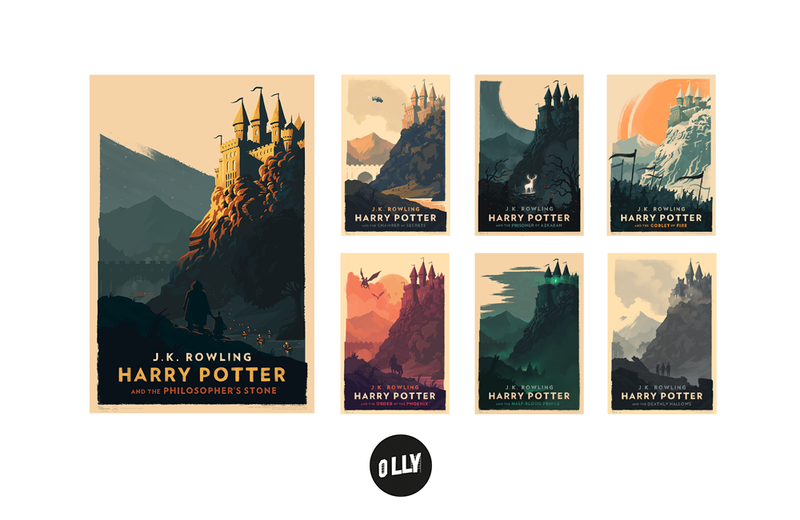 Well known for his minimalist re-imagining of classic movie posters, Olly Moss is the artist behind the series of memorable covers from the 2015 release of the Potter. The prints are hand-numbered and sized at a framing-friendly 16 x 24-inches. All seven feature an image of Hogwarts Castle in the background with additional design elements included based on some of the plot details of each installment. While there is no limit to the number of prints being produced, they’re only available for purchase until October 25, 2016, at 10:00 AM EST. Each print checks in at $50 USD with the entire set of seven available at a discounted rate of $275. Fans of the Adult Swim animated comedy series Rick and Morty can now add a life-size portal gun to their cosplay arsenal.